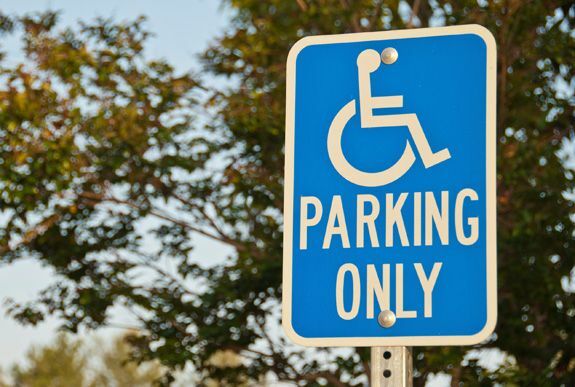 SACRAMENTO – California has nearly 25 million passenger vehicles, yet hands out a whopping 2.9 million disabled-person parking plates and placards. Anecdotal evidence – i.e., watching those healthy seeming drivers parking in the disabled spot in front of the Wal-Mart and then sprint into the store – casts doubt on whether nearly 12 percent of the state’s vehicle owners have some sort of debilitating mobility-related disability. But Californians need not rely on anecdotes to confirm their hunch. California State Auditor Elaine Howle last month released an audit that confirms the abuse-racked nature of the Department of Motor Vehicles’ disability parking system. The auditor sampled 96 applications for disability placards and plates and found that 70 of the applications lacked sufficient information to confirm that the applicant was really qualified for the permit. Furthermore, Howle found that 26,000 placard holders were older than 100, even though the state’s entire population of centenarians is 8,000. The DMV does little double-checking and authorizes few sting operations to catch cheaters. It hands out multiple replacement placards for “lost” placards. Nine people, the auditor explained, received 16 or more replacements over a three-year period and two received more than 20. The DMV “has not canceled permanent placards for thousands of individuals who are likely deceased,” according to the audit. “In addition, local parking enforcement lacks immediate access to DMV’s placard information, limiting its ability to verify placards during its enforcement activities.” And obviously sworn law-enforcement agencies have better things to do with their time than policing placards. The auditor suggests the creation of a DMV database to facilitate enforcement, and that it work with health boards to be sure applicants meet disability standards. There’s a strong incentive for people to game the system. Disability placards not only allow people to park near the front of a store, but they allow them to park free in metered spaces for unlimited periods of time. For people who work in downtown areas, this amounts to free commuter parking every day – something that can be worth hundreds of dollars a month. There are fines and even misdemeanor penalties for cheating, but there’s little enforcement. The report also details how the privilege has expanded over time. “In 1959 the Legislature gave those needing the aid of a wheelchair or who had lost the use of both legs the right to park for an unlimited time in zones with time limits,” according to the auditor. Then the Legislature included “those who had lost the use of one or both legs or who needed the aid of a mechanical device” and then “legs” was expanded to “limbs.” Many other disabilities were added including lung disease and legal blindness. Other states have put limits on the placards, but disability rights activists in California have generally opposed reform proposals. They don’t want to see any genuinely disabled people denied a placard, but critics note that the abuse of the system, as documented by the auditor, serves to undermine the public’s support for the program and sympathy for those who really need them. It leads to frustration and antagonistic feelings toward those who park in these spots and could eventually cause a backlash. The situation is reminiscent of a newly publicized phenomenon – the misuse of “service animal” designations so that some people can, apparently, bring along their pet dogs (or cats or bunnies) to restaurants, airplane cabins other places that otherwise forbid them. News reports point to online applications for “emotional support” animals – and lenient standards that allow your regular-old Pomeranian to be declared a service dog. Many of the auditor’s parking recommendations could apply to service dogs and other areas where people game a system designed to help the disabled or needy. The DMV doesn’t disagree with these recommendations, either. They involve better databases, more double-checking of applications, purging the system of the deceased, adding fees, increasing sting operations, hiking penalties for cheating and coming up with different categories of benefit. The auditor also suggests that the DMV establish “a process to review medical provider signatures.” Most of the auditor’s suggestions involved the DMV, but there’s a role for the Legislature, also. “To assist DMV in more accurately identifying deceased individuals with active permanent placards, the Legislature should amend state law to require DMV to use the U.S. Social Security Administration’s Death Master File to inform its efforts to identify and cancel deceased individuals’ placards,” the audit suggested. 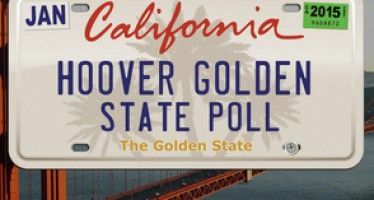 It’s probably wrong, however, to put too much blame on the DMV, given that the bulk of its efforts involve processing licenses and registrations – not policing the potential bad behavior of so many Californians. 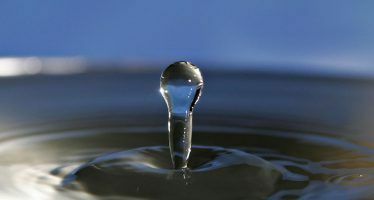 Indeed, one might chalk this problem up to a general failure in public morals, as people increasingly see these special-benefit programs as systems to be gamed rather than as a means to help those who really need the help. Steve, this piece would have been a LOT more helpful if you had posted the names of the doctors who dole out these freebies so freely. I’d sure like to give one a piece of my mind. Coincidentally, I need a new doctor to discuss my nagging back problems with. My present quack doctor thinks my back problem is psychosomatic. I need a second, more, uhhhh, sympathetic opinion! Why isn’t calwatchdog.com covering this? All the lazy state workers with blue & red placards park in the streets surrounding their work building and I assure you non are handicapped!